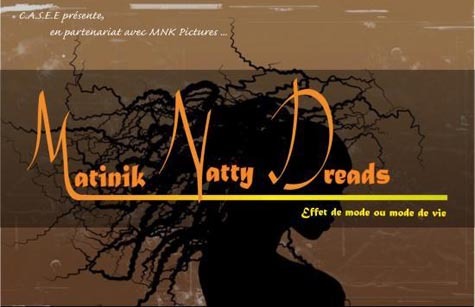 Matinik Natty Dreads is a documentary about Rastafarians in Martinique, which is not an independent country but an overseas “department” of France. The movie is being shown as part of the Montreal International Black Film Festival, Liz Ferguson writes in The Montreal Gazette. The Rastafari movement, which many had believed to be a fad, now holds an important place in modern-day society in Martinique, particularly among its youth. Is it because it wants to pass on a cultural and ethnic heritage? Is it because it casts a critical eye on the system, because it is anti-conformist? In “Matinik Natty Dreads,” the audience discovers an Afro-Caribbean culture and lifestyle that has spread and opened itself onto the world. I hope no one accuses me of “spoiling” the film if I say that the answer to all those questions above is Yes. There is some discussion about is Rastafarianism, a religion a culture, a way of life? There are differing views. The film tells us that Rastas in Martinique (and elsewhere in the Caribbean) first became aware of Rastafarianism through the music of Bob Marley and other musicians and that led them to learn more about it. Among the thoughts expressed by the various people who are interviewed: not all Rastas have dreadlocks and not all people with dreadlocks are Rastas. Dreadlocks are just fashion for some, but when people with a “Rasta look” commit crimes the movement is tarnished. The people of Martinique have been given a distorted view of their own history by their colonizers and that it’s time to reclaim it and explore their African roots; instead of retreating from the larger world as many do (living simply off the land, etc.,) Rastas need to become more visible and serve their fellow men (and women) by becoming doctors and lawyers and even running for public office. A young woman advises other women to join the Rasta movement if it is something they really want to do for themselves, and not because they have a cool boyfriend who is a Rasta. Many of the Rastas in Martinique attend the Ethiopian Orthodox Church and some scenes are filmed there. I had a flash of recognition there, well, a “similar-but-different” feeling, because I’ve seen Greek Orthodox priests walking around in Mile End and I have attended several Greek Orthodox weddings and baptisms, so the garments and the style of the art is familiar. Matinik Natty Dreads is being shown (as part of a double bill with Ti-Tiimou / Nos Sols, a documentary about the impoverishment of natural resources in Burkina Faso) Wednesday, Sept. 28 at 6 p.m. at the NFB / ONF Cinema, 1564 St. Denis St.
Matinik Natty Dreads is 52 minutes long, In French and Creole with French subtitles. Ti-Tiimou / Nos Sols is 30 minutes long, in Gulmancema with French subtitles. The Montreal International Black Film Festival runs until Sunday, October 2, 2011.